Select a townhome or condo for amenities, site plans, and availability. Have the best of both worlds: home ownership in sought after Saratoga Springs with no maintenance and upkeep. Excelsior Park townhomes are nestled on the edge of the Spring Run Preserve and convenient to the farmers market, shops, and restaurants, and within walking distance to downtown Saratoga Springs. 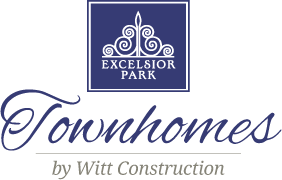 From sophisticated style to innovative smart home features, Excelsior Park Townhome’s 18 exclusive residences set the standard for high-end, high-tech town home living. Homes will begin at $319,000. Built in 2006, Whistler Court is a mix of condominiums and luxury town homes, positioned on a beautifully landscaped plot that encompasses a central courtyard surrounded by luxurious three-level townhouse style unites and a three-story building with spacious bright one-level units, ranging from one to three bedrooms to spectacular penthouses. Characterized by high ceilings, huge double-glazed windows, open floor plans, and striking interior detailing by award-winning home designer, John Witt, Whistler Court condominiums set an extraordinary standard of excellence, luxury, and beauty.